Sky Go Extra to be free with Sky Multiroom | What Hi-Fi? Sky has added four new channels to its catch-up TV offering, announced news of a redesigned Sky Go app and revealed Sky Go Extra is set to be free for Sky Multiroom customers from "early July". Fox, Universal, SyFy and Disney are now all available on demand from Sky's Catch Up TV service, thought you will need the Entertainment Pack to access Disney's content. Sky now offers access to over 20 catch up channels, as the popularity of on-demand viewing increases. 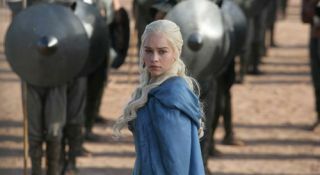 Sky reports the second week of June saw 41,000 downloads of Game of Thrones. Talking of downloads, Sky Go Extra, which allows users to download Sky programmes on demand for offline viewing, is set to be available free for Sky Multiroom users from July. Customers will need to simply update their account online at sky.com. Also incoming is a redesigned version of the Sky Go app for phones, tablets and also on Xbox. Promising a fresh look and improved navigation, the Sky Go app now offers 39 channels on mobile and tablets. The update is promised later this summer.